When thinking about ways to upgrade your home, one aspect that can make a huge difference is the state of your windows; undeniably, new ones can completely revamp both the aesthetics and functionality of your home. This is certainly appreciated by the skilled window installation technicians at Murphy Home Improvement, who have been helping their customers for over 35years. At Murphy Home Improvement “Customer Choice is Number One.” They work with their clients every day to ensure that they are getting the most out of their window budget. 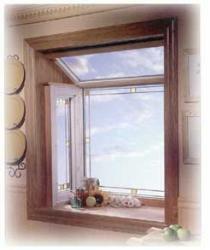 The Right Style Inside and Out: Having new windows installed is a great way to revamp the look of your home. The way you go depends on which style you’re after, but it’s important to note a few important principles. Traditional or colonial-style houses are best served by double-hung windows, and modern or contemporary homes look great with larger picture windows or awning windows. Ranch-style houses are best complemented with casement windows with prairie grids. Efficient Design: Windows are far more efficient and effective at what they do these days than ever before. Whereas single-pane windows were the standard for years—if your windows are older, this is likely what they are—new types are better able to insulate and protect the home. With new windows, you see immediate savings on your heating and cooling utility bills. Material Options: The choice of which material to use for the window frame is an important one, and you usually pick between wood, vinyl, fiberglass or composite. If cost is a bigger consideration, you might be best suited to vinyl windows, as these are usually the least expensive and are also low maintenance. Wood frames, long the industry standard, are known to be attractive and relatively efficient, but cost more and will require more upkeep. Fiberglass or composite windows, usually priced somewhere between wooden and vinyl options, offer a durable and more affordable solution. So if it’s time for you to spruce up the look of your home, new window installation just might be your ticket. Consider calling Murphy Home Improvement at (513) 922-8989 to arrange a consultation or visit their Showroom at 6571 Glenway Ave. Cincinnati, Ohio 45211. You can also learn more about this company online.